There is no doubt that cryptocurrencies have revolutionized how we transact however they have also enabled some of the biggest scams over the years. The success of Bitcoin and some other altcoins led to the birth of an industry that is using the Blockchain technology in many innovative ways. While some smart minds have gone to create world-changing products using the technology other individuals with malicious intent have also jumped on the bandwagon and gone ahead to con unsuspecting investors using elaborate scams. 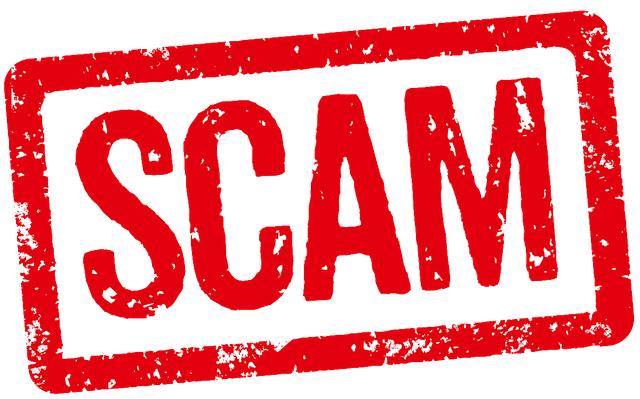 Below we are going to look at the top five ICO scams of all time. This is currently the biggest scam in the history of ICOs. Over 32,000 investors managed to lose over $660 million from two ICOs that were run by the same company that was based in Vietnam. Ifan was said to be from Singapore while Pincoin was from Dubai. However, Modern Tech controlled both. Last March the company silently vacated its offices in Ho Chi Minh City prompting investors to protest in front of the headquarters in April after lack of hard cash payouts. What followed was an investigation that saw authorities release the names of seven Vietnamese nationals who were behind the scheme. The surprising thing is that they were able to flee the country before anyone could find out what was happening. Both platforms were later on classified as multi-level marketing scams. 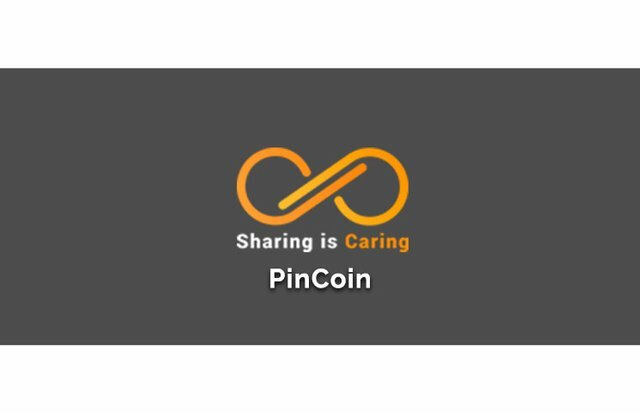 Pincoin promised investors over 40 percent monthly returns. It also made claims that it was building an online platform that would comprise of a peer to peer marketplace, an auction and investment portal, and an ad network running on the blockchain. While iFan was advertised as a social media platform where celebrities would promote their content directly to their fans. 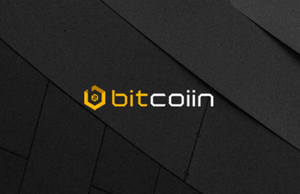 The platform allowed users to exchange their Bitcoins for Bitconnect Coin (BCC) on the platform, and in return, they were promised big returns. In 2017, the platform launched its lending platform where users would lend BCC to others and make interest depending on how much they had lent out. The platform also had a referral system that had all the hallmarks of a Ponzi scheme. On January 7, 2018, the BCC coin hit its all-time high and, according to coinmarketcap.com, was trading at $432 per coin with a market cap of $2.6 billion. Then the coin began to free fall mysteriously, and by Jan 15, 2018, it was trading at $290 per coin. However, an announcement made the following day would see the BCC coin lose almost all its value in just a few days. On January 16, 2018, the company announced it was closing its lending platform, and the exchange would be shut down five days later. 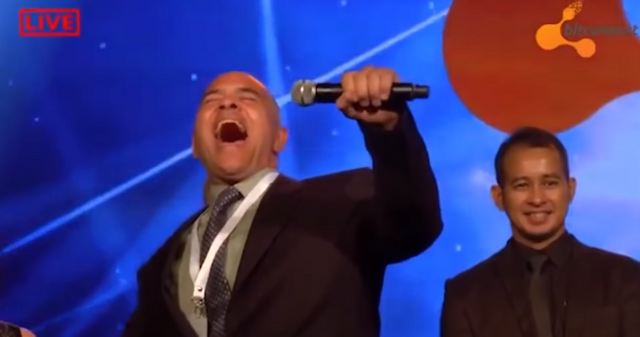 This was when many people realized that Bitconnect was a giant scam. What followed was users launching a class action lawsuit against the platform to recoup their lost funds that amounted to hundreds of thousands of dollars. OneCoin was created by One Coin Limited, which was founded in 2015 by Ruja Ignatova, a Bulgarian national. Ignatova held many fake degrees and credentials. Her project was promoted as an analogue of Bitcoin system that had a private blockchain. However, taking a closer look, there were many differences between the two. OneCoin lacked a peer to peer network. It meant the parent company conducted mining. Also, all transactions were conducted through partnership exchanges, and One Coin Limited stored all the data. Interestingly the company’s main business was spreading educational material on exchange trading. To grow its community, the company used multi-level marketing (MLM), which led to suspicion of it being a pyramid scheme. In 2016, Chinese authorities seized over $30 million from OneCoin, and its promoters were arrested as investigations began to analyze its operation in the country. In July 2017, OneCoin was labeled a clear Ponzi scheme in India. Two months later it was fined 2.4 million euros by the Italian authorities. 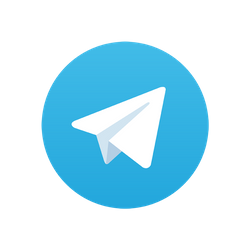 The company’s troubles did not end there as in January 2018, its offices in Bulgaria were raided and authorities seized its servers. The platform is rumored to have stolen over $300 million from gullible investors around the world. This scam ICO came around during the peak of the ICO frenzy. It managed to raise over $75 million through an initial coin offering. The project touted itself as the next generation Bitcoin and even sought the endorsement of Steven Seagal as its spokesperson. However, in March of 2018, it was served with a cease and desist order from the New Jersey Bureau of securities as it was found in violation of the state’s securities laws. The platform also failed to disclose critical information to prospective investors including the identity of its principals, its physical address and any risks that were associated with investing on the platform. This platform was offering MasterCard and Visa debit card services that were supposed to make it easy for its users to convert crypto into fiat. It sought the endorsement of two top celebrities, Floyd Mayweather and DJ Khaled, who promoted the debit cards to the masses. However, regulators would soon catch up with the platform founders. Two of them were arrested on fraud charges that related to the platform’s ICO which had raised over $32 million. According to the SEC, two of the founders, Robert Farkas and Sohrab Sharma went to great lengths to dupe investors. They created fake fictional executives, posted false and misleading marketing materials on the platform's website, and even paid celebrities to promote the ICO on social media. After reading the project’s white paper, do you genuinely feel the project’s proposal makes sense? Have you dug through the project team and their experience? Have you checked their history, profiles, and previous jobs? 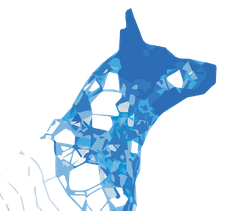 Have you checked the forums to find out what other members of the crypto community are saying about the project? Is the project using a trusted escrow company to handle the ICO funds? What are the ICO rating companies saying about the project? By asking the above six questions, as a new investor, you eliminate the risk of falling prey to unscrupulous individuals. Dont forget Bcash and Roger Ver! No doubt, they should be #1. Without Evidences this is Propaganda! I posted on here a about a year ago a post that viral and detailed thoroughly what was happening. If you read it, you will see that everything I pointed out, ultimately proved to be 100% accurate. It is very in depth but most of it is just organizing a lot of info. Already we have seen those coins the market and already facing some situation with the government sectors, instead of arguing here it is better to stay away from those coins. wassa wassa wassa wassa aaaaaap! Your post, along with some comments contain many of the reasons I quit as a writer/promoter in my 'past life' of 'any' ICO and their product. I won't even do it with a 'disclaimer' attached to an article. I would add also Envion.. The purpose was not to scam, but it is ending doing exactly this with one person taking all the money and scamming his own collaborators! This article could have been 1000 pages and we would have still missed some ICO scams. True. The last year or so was rife with scam artists. A lot of people got taken trying to cash in on the crypto craze. Sure man.. But Envion was one of the biggest ICOs ever(if not the biggest i don't remember)..
@criptoscimnia I almost invested there too! I got my self involved with Usi-tech and bitconnect and lost 1.7 BTC in total! Sadly! But lesson learned! Then because of the lawsuits - They wont pay until that is cleared? I want to see Envion CEO burn on the stake! Good post. Especially providing the 6 questions every potential investor must ask. The good thing about regulation coming in is that it will help weed out the scam artists. Exactly ;) they will still be able to scam people! No mention of Oyster Pearl? The founder restarted the ICO and massively printed more coins and sold them off, dropping the price to damn near zero. i agree to an extent. But i disagree to a to a lot you said there. The government is not responsible if people all start jumping off a bridge and killing themselves. Thatsts common sense. Sending your life savings to some random person, who you don't know or will ever meet and that in mass scale is very irrational human behavior. You dont do it, nobody would do it with a normal bank account. People sent mass emails out to people as nigerian prince. Thank god the government did not make emails illigal. I think its part of common knowledge. The government is not responsible to protect people from things that are common knowledge. People got greedy and irrational and got burned. There are a handful of good projects which are getting funding. ICOs is a great funding model. It should not be destroyed just because people lose their common sense. Excellent response. You were able to put everything into perspective. I am now following you. Great work. Dude, that's "nigerian", come on..
well, i also wrote price instead of prince xD. thanks for pointing that out. But I hope the message still comes across. I totally agree! Although there have been so bad actors, in a way ICOs are a good way for projects to gather funds and start evolving. Maybe the model has to be tweeked but still a usefull way of fundind. The proble resides on people being financially irresponsible. If the government dosen't interveen when people overspend on clothing, p.e., the government shouldn't come parenting me when I decide to participate on the funding of a project. You cannot compare investing vs buying cloths to wear. In case of ICO people are misled to believe something thats not true. Its cheating and you cannot blame the people for the same. It would be the same argument with stock market. I think some kind of legal framework will happen. The stock market does not sell magic beans for eth. ICO: Ok you give me your real currency and Ill give you this fake currency. I think if anything ICO RATING sites and influencers should be regulated. The amount of scams I can find on Icobench is almost criminal. Also, the shilling industry quickly became a multi-million dollar industry and crippled the growth of the industry. The biggest scammers in ICOs were the ones that helped them in marketing and shilling. At least now I know where to look for value. Not like a year ago when I join the crypto community for the 1st time. @brokernaples the point of that lesson is not to repeat our mistakes! @brokernaples I’m saying the same! At least we learned from our mistakes early not late! Me my self lost 1.7 BTC in a Ponzi schemes but I learned! Its great to see that people are taking responsibility for their actions. I also fell for a scam called indahash. looking back I was reckless and should have been more careful. GUAO, QUE INFORMACIÓN TAN IMPORTANTE. Esto pone a los inversionistas en una posición de sumo cuidado. Es impresionante hasta donde puede llegar la estrategia de una persona para APODERARSE del dinero de los demás de forma fácil y confusa. Me parece muy buena tu información. Y SERÁ MAS IMPORTANTE PARA LOS QUE FUERON ESTAFADOS. "If it is too good to be true, it probably is." Hello, i am from venezuela. Bitcoiin?? Haha. What a name. Hilarious. Me my self I invested in 2 scams ;) bitconnect! With Trevon James and I advice every person who follows and support him here to stop doing it! And the other one was USI-tech I lost 1.7 BTC in those 2 in total! Lesson learned! Since here only the term was abused, but neither a blockchain nor cryptotokens were presentable. Only training packages and options on future tokens were traded in a centralized system of the company network around OneCoin. See also SwissCoin, GiraCoin and what else about MLM was adorned with the word crypto. If I say, I am not a Human, I am a Lorry. What do you think? Do I be a human or a vehicle, because I look like a human? Had you, @icodog, ever heard about Paycoin, The GAW MIniers scamcoin which promised a CC and the first cryptocurrency which would be accepted in Amazon? yeah i actually heard about it. One out of millions. We need to learn our lesson that many people do not care about anything else than money. That's cool and all, but what about ninjamining millions of Steem before the official launch of Steem, and runing away with people's money? Yes, ninjamining millions of free Steem is super fair! Where is @ned? Where the money from @steemit are going? Do you like paying for votes? Steem is full of guilds and corrupt witnesses. It's a scam, before it as ico, it's a scam now as long as shitposts make it and good authors never make it without buying votes. Wake up, sheeple! I'm from Viet Nam and I still can say that there are many scammers around here. You guys should really check out "Westland Storage" What a Ponzi Scheme! The managed to raise more than $2+ million dollars to invest in some fake island they don't even own!!! here's the news: https://www.bitstarz.com/blog/westland-storage-ponzi-scheme-lies-about-owning-island I'll make sure to start exposing scams like these for everyone's sake. I'm not exactly sure what happened, but after the ICO they ran into legal trouble and are fighting it out in court ever since. yeah, maybe we´ll make a part 2. This is why I never get involved in an ICO. I never know the company behind one. So, my suspicions are always raised. Unlike securities markets, crypto markets are completely unregulated to prevent fraud. Great Blog, it's like the wild west in the crypto space, not many places are safe to keep your coins invested, now I stick to masternodes I control. But to be honest 95% of all Masternodes are also scams. Interesante conocer acerca de las distintas modalidades de estafas que se pueden conocer con las criptomonedas y tambièn para tomar las precisiones q que haya lugar para evitarlas. Muy interesante esta publicaciòn. This article is helpful for crypto-currency traders. Thanks. Bitconnect will go down as a historic ponzi scheme. Hey! Great article you got here! And yes, we all saw what this scam projects made to the whole ecosystem of crypto and blockchain. The news flew faster when the topic was scam in crypyo then when it was blockchain technology aplications. Still we are at this point with thousands of cryptocurrices that, while not all being scams, they seem to strugle on delivering a working product. Thanks, We are still far away from a health ecosystem. Even the top 10 coins are mostly BS or Possibly even scams. THIS, coupled with financial media channels hyping the value of cryptocurrency to attract market participants buying into any kind of currency keeping in mind that it will flourish their lives; make them rich. I feel sorry for all the people who lost money believing these projects would deliver. I don’t feel sorry for the people who knew full well it was a scam but failed to find a buyer before it became obvious. Yes, you hit the problem on the head. The main reason that these scams still exist and caused so much damage and continue to do so, because people invest to dump it on other people. This behavior is pretty much the same as theft. But people fill better about themselves. Its horrible. I wanted to invest in Bitconnect soo badly. I knew it was fishy, but I wanted to make some quick cash. However, before I decided to join, people started to lose money. I was lucky lol. You said,March of 2018, it was served with a cease and desist order from the New Jersey Bureau of securities as it was found in violation of the state’s securities laws. Please Add ENVION AG its my my greatest deception. Wow, i don't know that coins are also launched to scam people. steem pozi will be soon. Lol, BCH? Why is it a scam? I thought BCH was fine ... although I could be wrong, I got involved with Usi-tech and bitconnect and lost 1.1 BTC in total! Wow! Scammers do not stop! I must confess I was provided with the link by a top marketer to Bitconnect and he created a video to show that he had also invested in this SCAM and how it worked! Alas, it was too good to be TRUE and I did not listen to my gut and was scammed and lost what I put into to it! It was only a couple of hundred dollars BUT the good news is that got a very fast lesson on how the crypto market worked and how to buy and sell crypto coin on another site that I had to first purchase bitcoin to buy Bitconnect (( which they cashed out for a fortune when it was $18,000 no doubt. BUt it did PUT me off buying into anything COIN based in the future. I cut my losses and have not looked back! BUT interesting article and embarrassing one for me!! I was led astray by the marketer and trusted his judgement and NOT mine! Opppppsss . The winner by a mile has to be Bitconnnneeeeecccctttttttttttttt! That will go down in history as THE single most notorious crypto scam of all time for sure. I almost was a victim of ONE COIN thank God I didn't listen to their advocates. I didn't like the idea that the system was centralize and hyped. The fact that they always compared it to bitcoin; how it will become bigger than bitcoin, tip me off and I had to do a little digging of my own then I found out it was all a scam. I just knew their business model wasn't realistic at all. Definetely top scam of was bitconnect. Bitconnect was a magical scam! Does anyone know the investment platform invest.goex.pro is fraud/scam or not ? Umbrella Coin, TravelCoin, OneGram Coin, and McAfee Coin. Some of the brainwashed zombies here think BCH is a scam, lol. A scam usually doesn't have a legit website, meet-ups all over the world, a booth at all the major crypto conferences, a working product, and a market cap in the top ten.